BEDFORD — Kentico Software, a company headquartered in the Czech Republic with an office in Bedford, is teaming up to provide clean water to an Indian village. Kentico Software powers 25,000 websites across dozens of countries, and is now donating web design software for Planet Water Foundation, and helping the nonprofit organization install a public water filtration system in Palla, India, as part of World Water Day on Wednesday. In an effort to increase awareness of the global water crisis, Planet Water Foundation’s Project 24 will install 24 clean water filtration systems known as AquaTowers in 24 communities across five countries — in one day. Kentico Software, teaming up with Raybiztech, is one of several companies helping with Project 24. Each AquaTower project costs about $15,000 to deploy to villages in Cambodia, Colombia, India, Indonesia and the Philippines. “Kentico is very eco-friendly and eco-conscious. This particular project made sense,” said Eric Webb, Kentico’s vice president of sales for North America. Webb, who opened Kentico’s Bedford office in 2015, said the local facility employs about 35 workers. The Bedford location includes a sales department, public relations and marketing department, consulting division and technical support department. “We pretty much operate independently from the corporate office in the Czech Republic,” said Webb, adding all of the company’s development of software is maintained at its headquarters. Listed as one of Business NH Magazine’s fastest growing companies a few years back, Webb said Kentico continues to expand. With about 8,000 clients worldwide, roughly 70 percent of the company’s revenue is out of North America, according to Webb. Ajay Ray, managing director of Raybiztech, a solutions partner with Kentico, said his company is delighted to join hands with Kentico to contribute toward World Water Day. “Now, clean drinking water will be available in many backward villages in India,” Ray said in a statement. 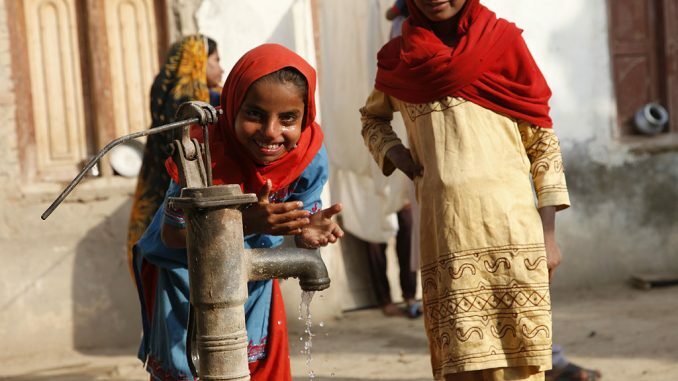 According to Mark Steele, founder and CEO of Planet Water Foundation, AquaTowers solves many problems for disadvantaged communities in parts of the world where water supply is not the issue, but rather water contamination that makes people sick. “One of our larger goals with Project 24 is to offer greater visibility into different types of water quality issues that we collectively work to mitigate,” Steele said in a release, thanking companies like Kentico for assisting in the initiative and being committed to corporate and social responsibility around water and hygiene education efforts.